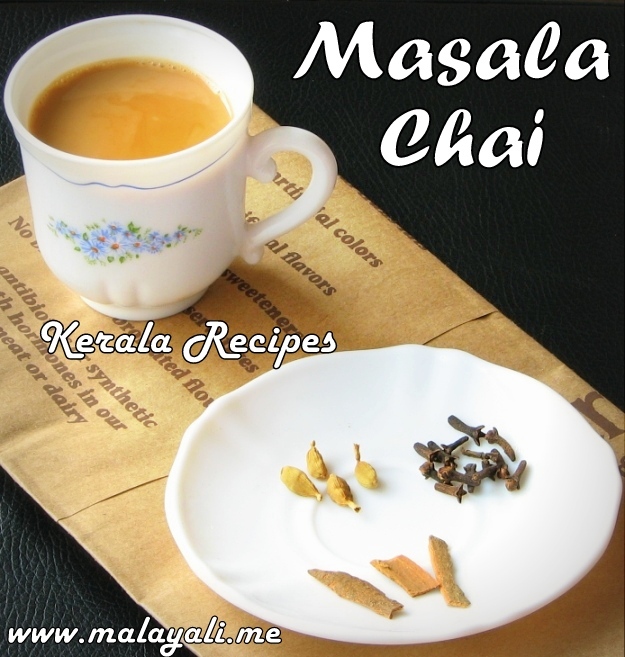 “Masala Chai” simply means Tea (Chai) mixed with spices (masala). 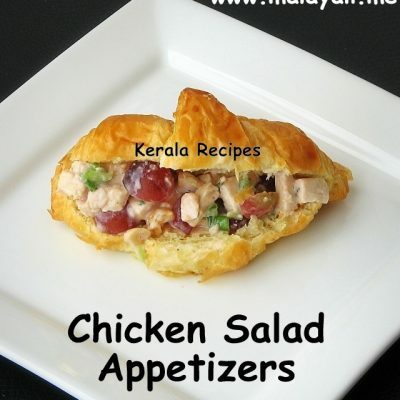 It is popular throughout the Indian sub-continent and is slowly becoming popular in US and other parts of the world. 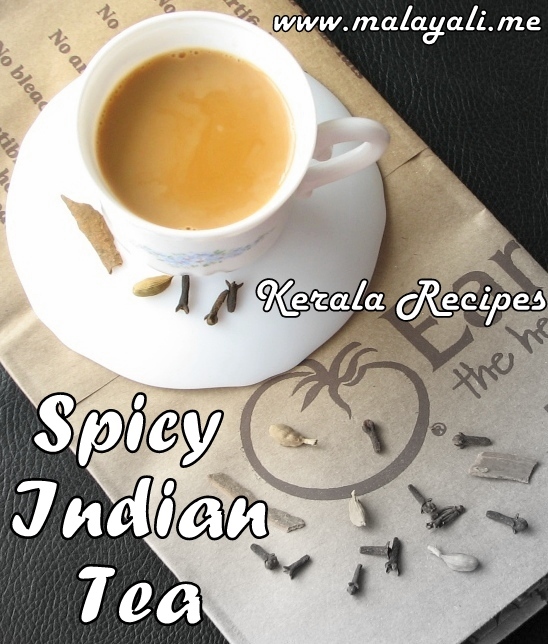 Some of the spices used for making this aromatic Masala Tea are Cardamom, Ginger, Cinnamon, Cloves, Fennel Seeds and so on. You can buy premixed Loose Masala Tea or Teabags from supermarkets. In most parts of India, Tea is often flavored with Cardamom (Elakka). Ginger Tea is also popular. Masala Tea is more popular in North India. I usually make my Tea with either Cardamom or Ginger. I can’t stand the taste of Plain Tea. I keep powdered Cardamom & Dry Ginger Powder at hand to add to my tea. I have also tried “3 Roses Natural Care” Tea Powder and I love it. 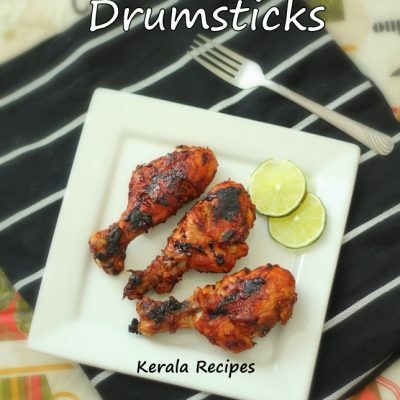 It is strong and aromatic, and is flavored with cardamom, ginger, tulsi and liquorice. 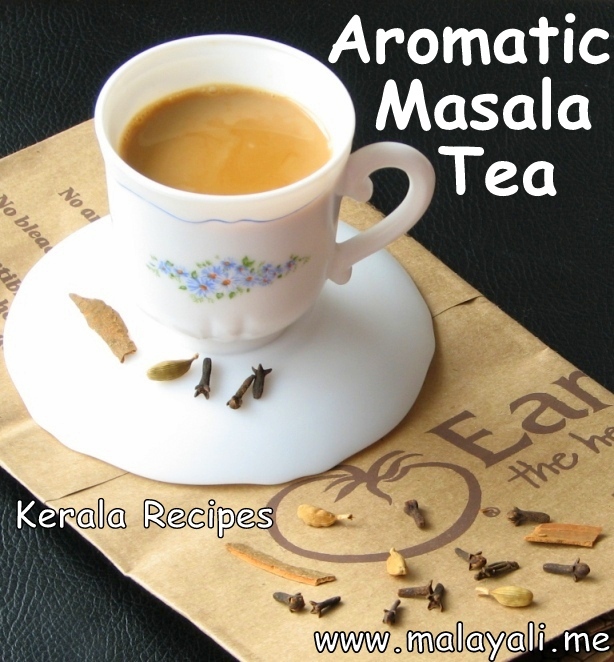 Masala Tea is often made by simmering Whole Spices in Tea. 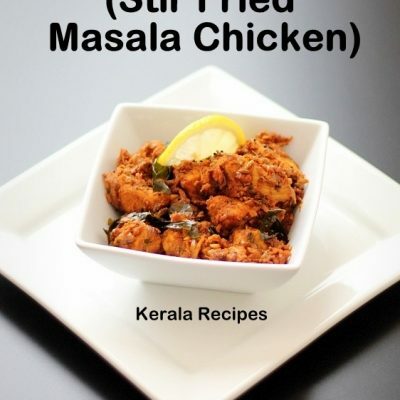 I find it easier and more economical to use Powdered Masala than using Whole Spices. A pinch of masala powder can go a long way in making a refreshing cup of tea. If using Whole Spices, you will need to simmer the tea longer and the whole spices are discarded after the tea is strained. Combine milk and water in a saucepan over medium heat. Once it gets warm, add the spices and bring it to a slow boil. Reduce heat and add the loose tea. Simmer for a few minutes so that the spices release its flavors . Strain and discard the tea dust and spices. Add sugar to taste. 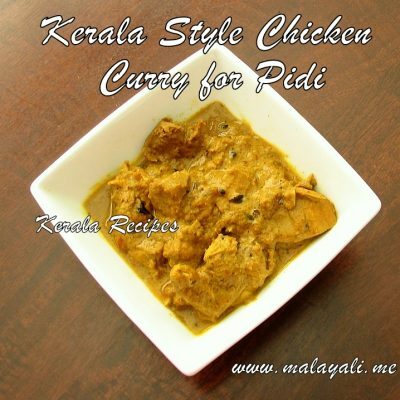 Using the above proportions, grind cardamom, cloves and cinnamon to a fine powder in larger quantities. 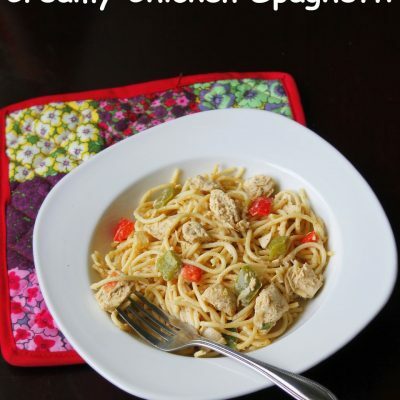 Mix dried ginger powder to it. Store it in an airtight container. 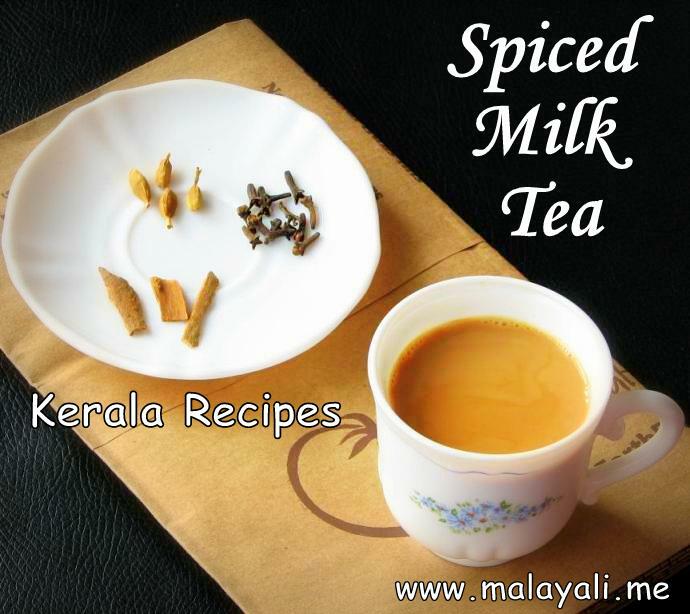 For making one cup of Masala tea, add 1/4 tsp of this masala powder to the milk as it comes to a boil.